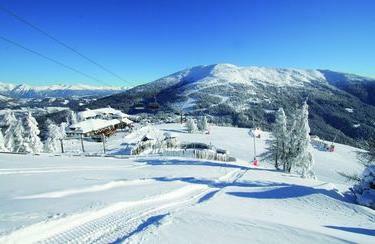 Snowy pistes and pure skiingpleasure awaits you in St. Margarethen in the Lungau. State-of-the-art lifts carry you quickly and easily up to the ski area Aineck-Katschberg that offers manifold opportunities for skiing, snowboarding, carving and cross-country skiing. Proper equipment is provided by the ski rental of INTERSPORT Rent in nearby Tamsweg, your expert for winter sports. 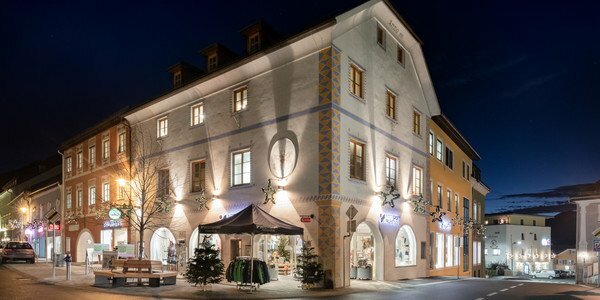 Start in St. Margarethen and explore the multi-faceted offers in the ski area Aineck-Katschberg. Around 70 km of pistes on all levels of difficulty, 16 most modern lifts that transport you without long waiting periods and varied winter hiking tours await you. If you are hungry, just stop by at one of the alpine huts for a bite to eat! A network of first-class slopes is accessible for all cross-country skiing enthusiasts in and around the ski resort St. Margarethen. You can choose between the sunny Murtal slope, which has a total length of 30 kilometres, and the high slope in Katschberg. The beautiful tracks are situated against the backdrop of an amazing mountain panorama. Need ski equipment for your holiday in St.Margarethen in the Lungau? You can not only receive top-notch ski models and snowboards, but also competent advice in the ski rental of INTERSPORT Rent in Tamswegl.